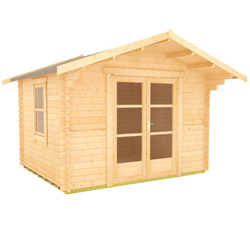 Our Double Door cabins are available in a variety of options, window and door options include Euro Style, Georgian Style, Full Pane and even PVC. 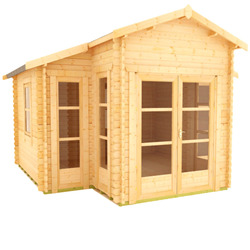 You can also increase security with double glazing and toughened glass. 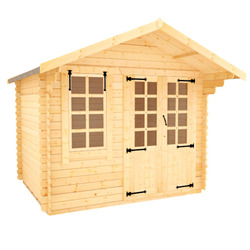 Made with superior, 28mm or 44mm thick interlocking logs, each with heavy duty tongue and groove roof and floors. 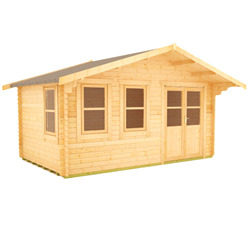 With easy access through the double door and stylish designs the cabins will undoubtedly make a great addition to you garden. 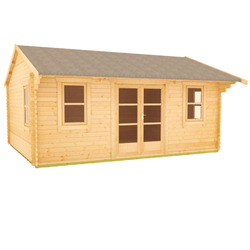 Find out more about our Double Door Log Cabins range. 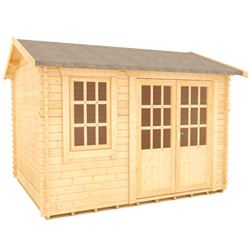 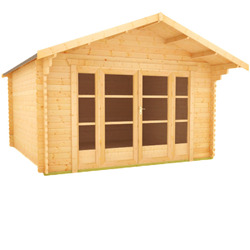 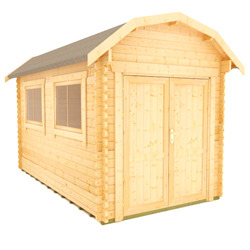 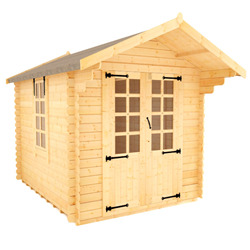 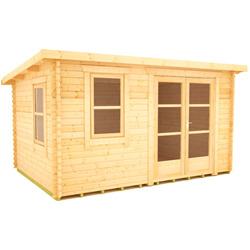 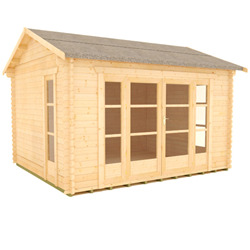 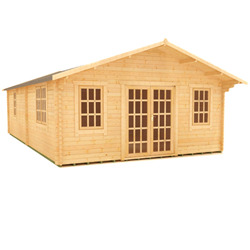 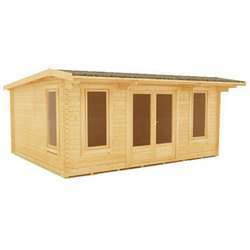 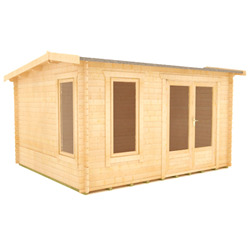 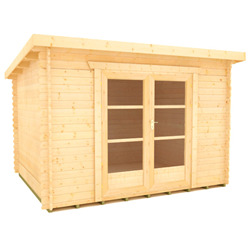 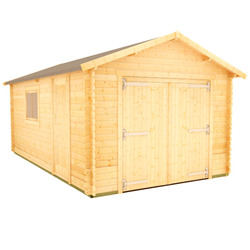 A Tiger Sheds double door log cabin is a stylish and luxurious addition to any garden. 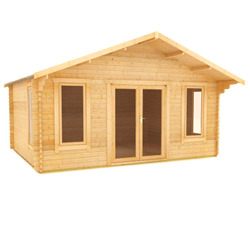 Our custom double door design allows you to enjoy the view of your garden whilst relaxing in your stunning log cabin. 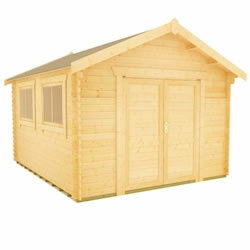 Double doors flood your cabin with natural light, great for office spaces and garden rooms. 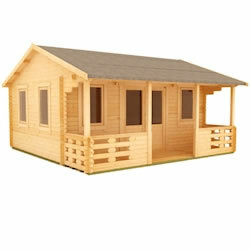 Choose from one of our pre-designed cabins or make your own bespoke product to fit your needs. 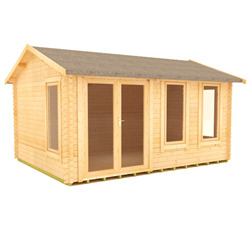 Our beautiful selection of double door log cabins are made to the highest quality in our Yorkshire factory and delivered free throughout most of mainland GB.